The Ambassadors of the EU Member States have just now voted in favour of the proposed EU-Morocco Fisheries Agreement and Protocol, that is intended to apply to occupied Western Sahara. A final vote by the EU's Fisheries Ministers is imminent. The vote took place today, 28 November, at the COREPER level - the Committee of the Permanent Representatives of the EU Member States - which can already express the position of their Government. The Ministers of Fisheries of the EU Member States are expected to adopt the texts in their next meeting on 17-18 December, though there are reportedly procedural loopholes would allow for a faster adoption. Find the text of the Council Regulation here. In February 2018, the Court of Justice of the European Union concluded in a case brought by Western Sahara Campaign-UK that the EU-Morocco Fisheries Partnership Agreement and the Protocol thereto cannot be applied to the waters adjacent to Western Sahara, as that would be a violation of international law, particularly of the principle of self-determination. On 19 July, the Court repeated its judgment, in the case initiated by Polisario on the Fisheries Agreement. Five days later, the EU Commission and Morocco initialed an agreement and Protocol that are intended to apply to those very same waters, without as much as giving the people of Western Sahara a say in the process. Yesterday, 95 civil society groups from the occupied parts of Western Sahara, the refugee camps and the diaspora sent an appeal to both the EU Council and the European Parliament's Fisheries Committee, requesting them to "prevent EU plundering of a people's fish in Western Sahara". "We call upon all MEPs, members of PECH Committee and the member States to vote against the proposed Fisheries Partnership Agreement that aims to illegally include Western Sahara in its territorial scope. Save our fish and our people, save Europe’s legal foundations and its honour", the text reads. Read the full appeal here. The UN recognised representation of the people of Western Sahara, the Polisario Front, also opposes the proposed fish deal. The EU foreign office (EU External Action Service, or EEAS) claims publicly that Polisario refuses to discuss the proposal. Earlier this week WSRW published a letter by Polisario that chronicles its attempts to engage with the EU Commission, Council and EEAS, revealing that the EEAS is not presenting a full account on this matter. In order to claim local support for a new fisheries agreement, the EU has "consulted" a dozen Moroccan government bodies in the occupied territory. No voices that advocate for self-determination of the territory have agreed to the new agreement. None have been heard. "We cannot understand why the EU Member States wish to return this issue to the Court of Justice. The judgments are crystal clear. At a time when international law is under pressure and with the Russian incident in the Asov Sea, we urge the Union to be coherent and stop supporting one aggression while defending another. What's next? An EU-Russia fisheries agreement in Ukrainian waters? We call on the capitals of Europe to stop this", says Sara Eyckmans of Western Sahara Resource Watch. The Member States have seemingly also agreed on the allocation of the fishing opportunities available under the Protocol. Spain will get 92 licenses out of the 110 available licenses, Portugal 14, and France 4. These licenses allow for fishing in Morocco proper and also in Western Sahara. The quota accorded to the industrial pelagic fleet, which will be active exclusively in Western Sahara, has been divided as follows. For the first year, a total of 85,000 tonnes will be divided (ranked in accordance of size); the Netherlands 26,102.4 tonnes, Lithuania 21,986.3 tonnes, Latvia 12,367.5 tonnes, Germany 6,871.2 tonnes, Poland and the UK both 4,807.8 tonnes, Ireland 3,099.3 tonnes, France 2,809.3 tonnes, Portugal 1,652.2 tonnes and Spain 496.2 tonnes. That ranking is maintained for the three subsequent years, with augmented quota. In return, the EU will pay Morocco more European tax payers' money than under the previous Protocol: the 2013 Protocol cost the EU an annual €30 million, split over a €16 million access fee and an additional €14 million in sectoral support - money spent on furthering Morocco's fishing sector. 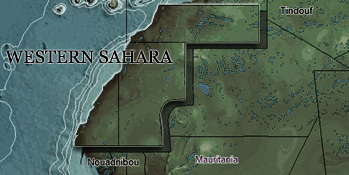 That money was mainly spent in occupied Western Sahara, however, as WSRW managed to dig up. In addition to the EU money, Morocco also received fees from the European fishermen, at around €10 million per year. The current proposal will cost incrementally more, which each passing year: for the first year, the EU will pay Morocco €19.1 million for access, €17.9 million sectoral support, and the fishermen will cough up €11.1million in fees - a total of €48.1 million. For the second year, a total of €50.4 million will be paid, broken down as €20 million for access, €18.8 million sectoral support and €11.6 million from the fishermen. For the third and fourth year, the EU will spend public funds on €21.9 million for access, €20.5 million sectoral support, and the fishermen pay 12.7 million in fees - totaling €55.1 million. All in all a significant increase, but still below the €80 million that Morocco had demanded. In return for a higher pay-check, the Moroccans have offered a higher quota of pelagics - which are fished exclusively in occupied Western Sahara. Category 6 of the agreement - covering industrial pelagic or semi-pelagic trawling and purse-seining - corresponds to the area between 26°07'00"N and 20°46'13"N, which is located entirely in occupied Western Sahara. In other words, Morocco stands to receive more EU tax payers' money for offering more fish from a territory to which it has no claim whatsoever. It should be pointed out that the increase in EU funding does not correspond to a similar increase in fish opportunities. While Morocco is offering an estimated 25% more fish - exclusively from waters over which it has no sovereignty - the EU's access fee has risen approx. 37%, while the sectoral support has gone up over 46%. The EU is thus now paying more for less fish as compared to the previous Protocol.